Our customer is a market leader in the supply of bulk solar salt, based in the north west region of Western Australia. The salt is a wet material when harvested, with relatively small particles of less than 4mm. When conveyed, the salt has a tendency to hang-up in the chutes, skirts and screens. As the salt is highly corrosive, it causes problems for regular mild steel materials handling components. Our customer was experiencing a significant material spillage problem around the transfer point area. Here the challenge was to contain the low mass salt particles effectively and stop them from bouncing off the conveyor belt. Due to salt causing material hang-up, fitting any type of skirting around the chute had not been successful previously. 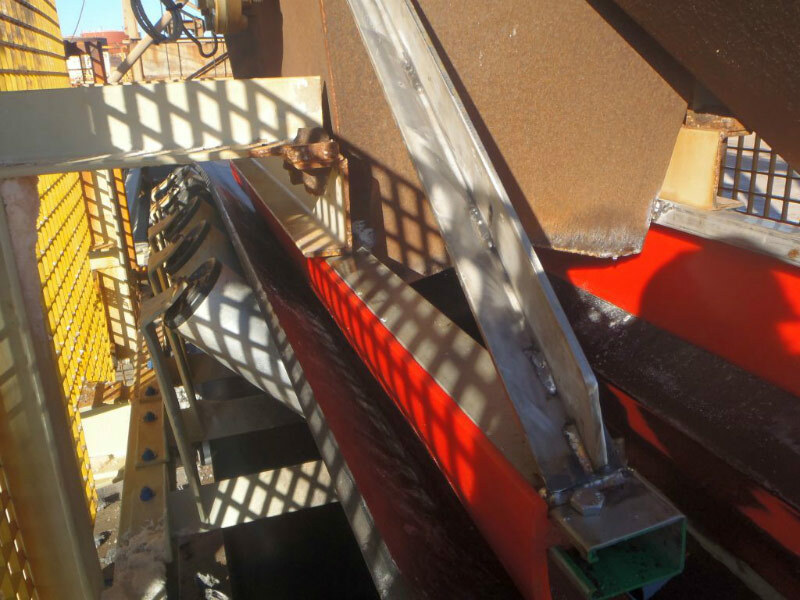 Not only was there wasted product, but the steel structure of the transfer point was quickly being effected by an increasing amount of corrosion caused by the bulk salt. To maintain this area, it needed to be washed down frequently, creating additional labour costs. After consultation with Kinder Australia, the K-Snap-Loc® Dust Seal System was selected by our customer as a better dust suppression solution. K-Snap-Loc® Dust Seal System is made from high quality engineered polyurethane making it very lightweight and easy to install, requiring minimal labour. Also, because it is highly durable and resistant to corrosion it will last longer once in place, requiring less replacement skirting in the future. This will achieve significant cost savings and reduce scheduled maintenance shutdowns.